#33 Judy Denison and Don Parker Save The Mesas: How a Local Citizen Group Fought for Golden’s Trademark Open Space. Many people enjoy and utilize the open space areas found on Golden’s North and South table mesas, yet not all are aware of the fight to keep Nike from building a complex for 5,000 employees on North Table Mountain in 1998. Although both mesas are well used recreation areas today, this was not always an assured outcome. Judy Denison and Don Parker, two of the founders of Save The Mesas, will discuss the work of the citizen group they helped create and led during the controversy. The legacy of their activism continues to echo through daily life for Goldenites and visitors. Judy Denison grew up in rural western Massachusetts, and came to Colorado for graduate school. She has lived in Golden for 25 years. 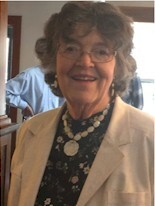 She was a co-founder of Save The Mesas, Mesa Music Fest, Table Mountains Conservation Fund, CINQ (beltway issues), Golden Relief Group, Belize Education Project, Golden Action for Public Safety, Golden Community Choirs, and Golden Votes, and has been active in the Rotary and political campaigns. She has published the Golden Newsletter for 18 years. Her children and their families live in Parker, Laramie, Torrance CA, and Germany. Don Parker and his wife Mary moved from Denver to Golden in 1989. 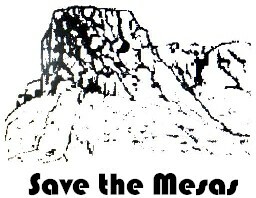 When Nike proposed a development on South Table Mountain in 1997 he and Mary and many other Golden residents formed Save the Mesas and the Table Mountain Conservation Fund and became active in working to counter the proposal and then to get both Table Mountains into Open Space so there would be no further development threats. 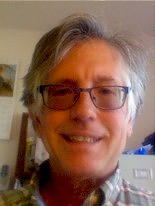 Don grew up in rural Sedgwick County Colorado (where the population has been dropping since the 1930s). Don owns Golden Solar, a solar panel installation company. Previous Previous post: #32 Jason Hason, Deputy State Historian: Beer Here! A Local History of Brewing in Colorado. Next Next post: #34 Dr. Robert G. Hancock, Metropolitan State University, Denver: Mosquitoes, Bed Bugs and Other Blood-Sucking Monsters.